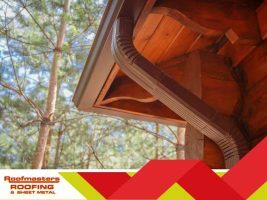 While the main job of your roof is protecting your home against the elements such as rainwater, it can’t possibly do this job without the support of a good water drainage system. That is where your gutters come in. Gutters divert water sliding down your roofs away from your siding and foundations where it could do a lot of damage.